Ribbon: Light blue with white edges. 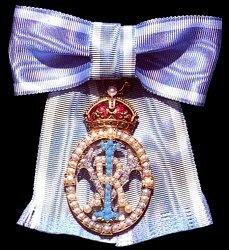 Awarded: Royal ladies and ladies connected with the Government of India (usually the wives of Viceroys, Governors or Indian Princes, etc. ).